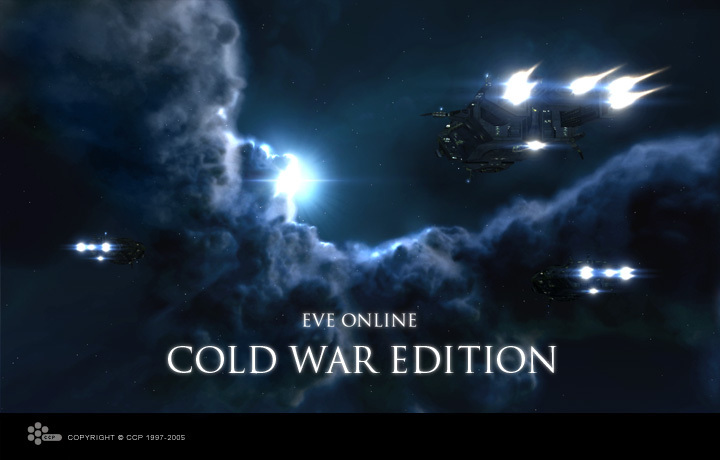 During the winter, EVE’s nullsec regions are a boiling hot war zone. This year was no different. 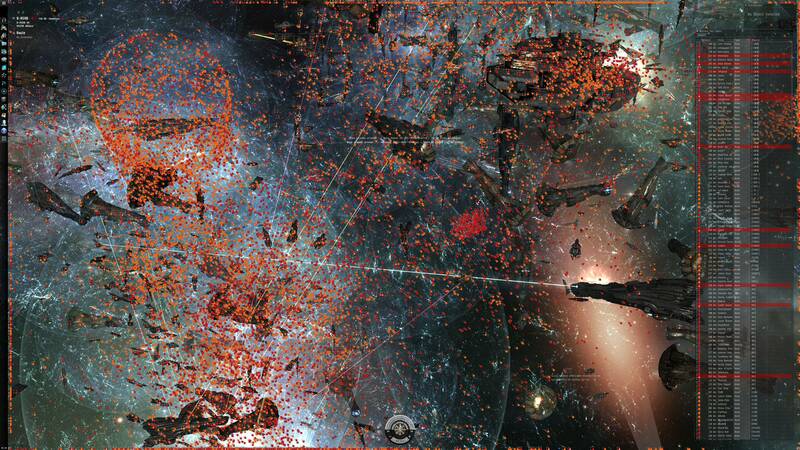 The Halloween War started with an attempt from N3 to headshot RUS staging systems. As written in Shadoo’s sov warfare playbook, headshots should be avoided unless you are willing to burn a high level spy, remove station access and/or sov drops. RUS coalition was already preparing for war and defended their staging systems successfully. Mittens claimed that the CFC would be a honourable third party during the early days of the war to create a storyline for his members, however on the field, CFC forces only shot N3 ships confirming the original statement as nothing more than a PR stunt. Soon the masquerade was dropped and CFC fully deployed. In the ongoing weeks CFC/RUS and N3/PL fought violently over timers, however here was no quick success from either side. For a long time the situation was a stalemate with just a few systems changed hands. 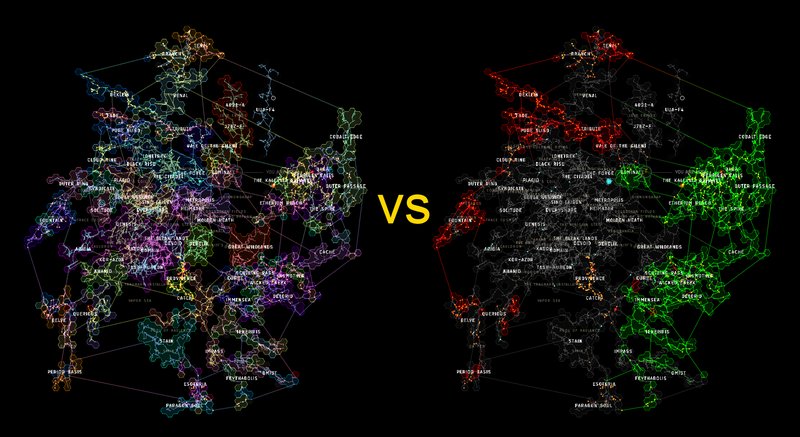 Without the clash of Titans in B-R5RB, this war would probably still be ongoing at full pace. As PL moved out of the war zone, CFC/RUS rushed to gain as much space as possible while N3 was organising themselves again after the huge loss of assets. CFC also deadzoned N3’s staging system before they left the area to go back to their home regions. RUS however did not have the intrinsic strength to hold their new systems against N3 with PL active once again. Currently all sov has been recaptured by N3/PL with the first systems in Catch falling back to them. The RUS coalition is falling apart from leadership inactivity after nearly five months of daily strategic operations. Their ultimate goal of removing N3/PL from nullsec was never a realistic approach and their members didn’t buy it. There is a still a strong sentiment against working with CFC especially Goonswarm within the grunt ranks of all RUS alliances. People kept ratting in back-end systems during major strat ops, leading to more internal drama and infighting. I expect them to try to hold whatever is possible but sooner or later, RUS alliances have to get their heads together, form under a new banner, purge inactive players and not try to live on the hubris of success from past years. CFC learned that capitals and supercapitals are good. It is not worth putting +1000 pilots into a system when 100 pilots in capitals can do the same, especially when the server nodes are already running at 100% load and 1% TiDi. As a pilot that actually likes to fly both capitals and supercapitals I welcome more hostile capitals as targets. ‘Death to all supercaps’ can only be achieved when you actually use them so CFC leadership has to make sure that their capital programs (to get every member flying both a carrier and a dreadnought) become a success within their ranks. CFC’s success in B-R5RB was only possible due to the large amount of capitals and supercapitals of the folding RUS coalition. We yet have to see if CFC can pull out the same result when they work on their own. For years they boosted their grunt mentality by looking down on capital heavy alliances – we will see if CFC can motivate their members to be ready with alts in capitals. N3 had some problems during the long months of the Halloween War and some streamlining was in order. They learned the hard way that staging in one system is not a good idea, which makes it too easy to get permacamped as CFC showed them. Already in the next N3 staging system this was corrected by using four separate but connected systems. As smaller alliances create an overhead for management it was clever to disband EMP and let the remaining corps decided to join N3 alliances as well. Also smaller entities within N3 probably need to decide soon if they will merge with Nulli, NCdot or another third party. Becoming part of a larger organisation usually means dropping some identity however it makes your coalition stronger. What did Pandemic Legion learn? Don’t use a corp with a known history of failed sov payments for your staging system! And it is not bad to have a good amount of Titans on inactive accounts to replace your losses within weeks. EVE is going quiet now as far as large scale warfare is concerned with summer approaching but there will still be drama and fun deployments. I also expect the upcoming Alliance Tournament to take Pandemic Legion pretty much out of the nullsec business for the few next months as well. Still the Cold War remains so make sure to be ready for next winter’s inevitable CFC vs N3/PL rematch!